CompNet provide IT support, IT Software development, Website Hosting and Maintenance for the listed companies. Matrix on Board provides financial management, management support and training and development to non-profit organisations across Australia. *We support all their states offices. CREATE Foundation is Australia’s peak body representing the voices of all children and young people in out of home care. The Ella Centre exists to provide quality programs, services and advocacy to support people and communities across the Inner West, with a focus on people with disabilities, dementia, older people, careers, and those who have needs not acknowledged or met by others. We install Inclinators and a variety of other lifts including a wide range of home lifts in NSW, Victoria and Queensland. *We support NSW and QLD offices. Proudly Australian-owned and operated, the comprehensive Kitome range covers a wide variety of styles – providing the ultimate in modern living solutions. Momentum Agencies has been established to service the increasing requirements of retailers and industry with quality product and professional brand support services. Tracker Development is a specialist consulting business focussed on creating quality outcomes for Aboriginal people in remote and regional Australia. Bowan Island Bakery has provided selective palates with a wide range of organic artisan breads and pastries for over 18 years. Our delicious products can be found in the award-winning Bowan Island Bakery Cafes, quality food vendors, restaurants and cafes throughout Sydney. Trojan Trading Company Pty Ltd is a privately owned Sydney Based tobacco importer, wholesaler and distributor, with over 20 years of directorship experience in the Australian market. Managing Director Patron, Australian Centre for Women’s Leadership Patron, Sunshine Foundation Australia, Inc. The National Children’s and Youth Law Centre (‘NCYLC’, ‘the Centre’) is a Community Legal Centre dedicated to addressing human rights issues for children and young people in Australia through legal change – the only community legal centre of its kind in Australia. Precision Landscape Construction offers a professional service where our team take pride in the work we do. Client satisfaction is our ultimate goal, we work together to create the quality job you are looking for. Windermere is a 63-bed high care nursing home catering specifically to Korean and Chinese residents. Inner Sydney Regional Council supports, resources, informs and advocates for community organisations and groups to increase the capacity and resilience of disadvantaged communities and people in our region. ItaliaTech takes pride in bringing the traditions and the beauty of Italian products to Australian and New Zealand cyclists. Contact Inc. creatively collaborates with artists, community members and civic institutions to address social, cultural, environmental and economic issues with specific focus on communities affected by violence, vulnerability and marginalisation. Physio Gym is a dynamic physiotherapy practice focused on helping you to achieve your full physical potential. for a wide variety of businesses and organizations. Admiral Management Group is a division of Admiral Express, which is a family owned and operated company. Established in 1997 as a Taxi Truck and Courier Service, totally dedicated to providing a fast, efficient and reliable transport service to select group of Customers. Christ Church St Laurence is a Parish within the Anglican Church of Australia, Diocese of Sydney. We are Anglicans in the Catholic tradition; the hallmarks of our ministry are prayer, sacrament and pastoral care. Newtown Mission is a community of Christians in the inner-west of Sydney, passionate about following Jesus, living alongside the vulnerable and sharing God’s good news story. Aboriginal artists are committed to sharing their culture with the world. Our mission is to support Central Australian Aboriginal artists and Art Centres working together in a vigorous, ethical Aboriginal arts industry. Injalak is a non-profit, community enterprise. It has over 200 members made up of artists and weavers from Gunbalanya and surrounding outstations. 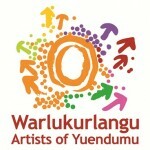 Warlukurlangu Artists’ Aboriginal Corporation is a fully Aboriginal owned and governed art centre. Warakurna is a remote community situated on the Great Central Road in the Ngaanyatjarra Lands of Western Australia, approximately 330km from Uluru near the border with the Northern Territory. Tjarlirli Art Centre represents the artists of Tjukurla in the Ngannyatjarra lands of Western Australia. The artwork has strong links with the Papunya Tula movement as families left Kintore and Kiwikurra to return to their homelands in the mid 1980s. Martumili Artists work with new and established artists, whose work showcases the diversity, integrity and strength of Martu culture. Tjanpi Desert Weavers is a not- for-profit social enterprise of Ngaanyatjarra Pitjantjatjara Yankunytjatjara (NPY) Women’s Council, an Aboriginal governed and directed Corporation. Mangkaja, a Walmajarri word for the ëwet weather sheltersí erected by the Walmajarri people in the Great Sandy Desert during the wet season, was named by one of the art centre’s founding members Kumanjayi (deceased) Skipper. Ngurratjuta Iltja Ntjarra; Many Hands Art & Gifts is proudly Aboriginal owned and operated and is situated at theDesert Park, right on the doorstep of Alice Springs and the Western MacDonnell Ranges. Based in Halls Creek, on the Great Northern Highway, the Yarliyil Art Centre provides a place for local cultural expression by enabling the ethical production and sale of Aboriginal art. Tangentyere Council is the major service delivery agency for the 18 Housing Associations known as ‘town camps’ in Alice Springs. Keringke Art Centre was named after the Dreaming place of Kathleen Wallace, one of the artists at Santa Teresa. Keringke means ‘Kangaroo Tracks’. It is Kangaroo Dreaming. At Hawkesbury Regional Gallery we offer a changing program of exhibitions and public programs for people of all ages. Gapuwiyak Culture and Arts Aboriginal Corporation is a recent initiative of the remote East Arnhem Land community of Gapuwiyak, also known as Lake Evella. Ernabella Arts is a place where we senior women and men and young women and men practice and develop our art, in order to sustain, support and promote our cultural heritage, and to improve the lifestyle of our community’s members. Ampilatwatja (pronounced um-bludder-witch) is the largest of three communities under the Aherrenge Aboriginal Association. The language spoken at the community is Alyawarr and there are up to 650 residents.